Here are some reputable great dating sites to meet Latina and Mexican women. Below are my affiliate links to them and their banners. Best wishes for success in finding the Latin or Mexican woman of your dreams! Last edited by Winston on October 26th, 2013, 11:02 am, edited 7 times in total. you heard of any more good ones for central-latin america??? I used this site to meet some nice women in Bogota. Yeah I'm using this site. Got 210 women showing me interest in 30 days. That's an average of 7 per day! Updated with new links and banners. What social networking sites are popular in Mexico? FB, Badoo, Tagged - which is best? I don't want to put myself up for dating, just want to connect with some locals when I'm there on holiday for a couple of weeks. I speak basic Spanish. Twobrains wrote: What social networking sites are popular in Mexico? FB, Badoo, Tagged - which is best? I don't want to put myself up for dating, just want to connect with some locals when I'm there on holiday for a couple of weeks. I speak basic Spanish. Forget about baddon n tagged facebook is the main networking here ! What ???? when is the last time a man on facebook said that he wants to meet you. and you came up with some lame excuse. facebook does not work to meet women. Sure a man can become friends with foreign women on facebook. but many foreign women refused to do skype with me. yet they still talk to me online. 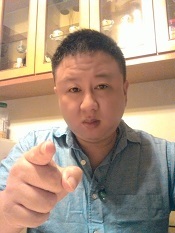 I think its better to meet and connect on foreign dating sites. the mindset is to actually meet !!!. not facebook though !!!. Mystery wrote: Yeah I'm using this site. Got 210 women showing me interest in 30 days. That's an average of 7 per day! Seeing this now but be careful, there some Non-Pro/P4P stuff going on that site. Stay vigilant unless you don't mind that sort of thing. What's the best approach to opening and meeting girls via ColombianCupid and MexicanCupid? I'd like to take a 7-10 day exploratory trip to Colombia and/or Mexico and meet some girls/hook-up/test the waters. Should I try messaging some women on these sites few days or few weeks ahead of my trip and then arrange meet ups when I get there? Also, what nationalities are most common on LatinCupid? Thanks for the info. What kind of women join these sites? Is the quality (attractiveness, personality, life situation, etc) good? I am wondering if I can do some sample trials to help me determine a plan and which specific country/city I should visit. Lol. These sites that you have posted have photos that are several years old...recycling the same women's photos. I wonder if these women know they are being recycled...over and over and over. Haha. AFA new video of their Peru Tour! Re: Meet Latina Women! Great Dating Sites and Romance Tours! Wow check out these AFA Costa Rica Tours!